From the desk of Michael Remorenko, President, MuseumRails LLC. MuseumRails was introduced at the AAM Conference in Philadelphia in 2009. I was immediately gratified by the response to the system, and it has been my pleasure to work with museums, institutions, and corporations across the country. When I decided that it was time to devote more of my energies to other pursuits, I looked for a buyer who could not only continue the product line, but who could also evolve and expand the system. I found that buyer in William Stender and his 10-31 family of companies. I am extremely pleased with the fit between MuseumRails and 10-31, and am enthusiastic about the improvements and product development plans that are already underway. 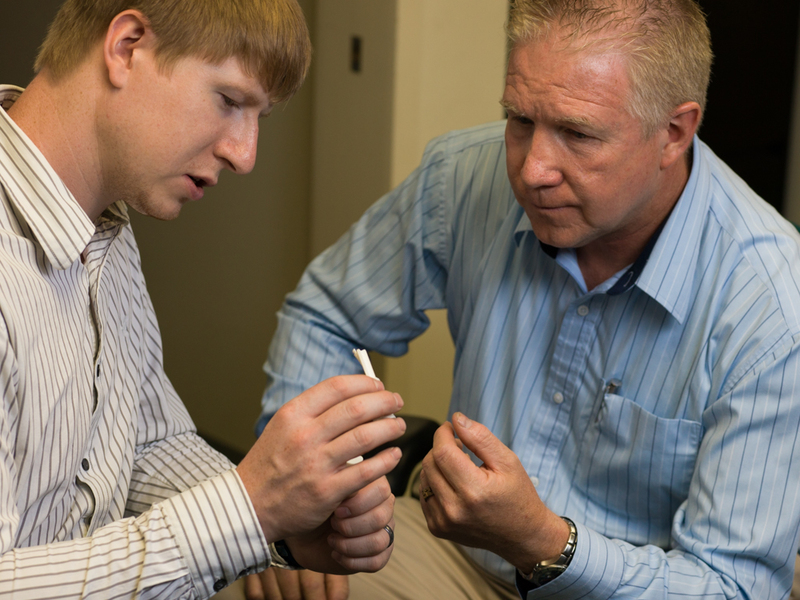 I look forward to proudly watching the product grow and develop under the new ownership. I will remain with the company in a diminishing capacity throughout 2019 and look forward to seeing many of you at conferences over the next two years. Working with Shirley Plantation in 2005 on upgrading their interpretive exhibits, we were asked to come up with a solution for providing separation and interpretation of the plantation kitchen exhibit. 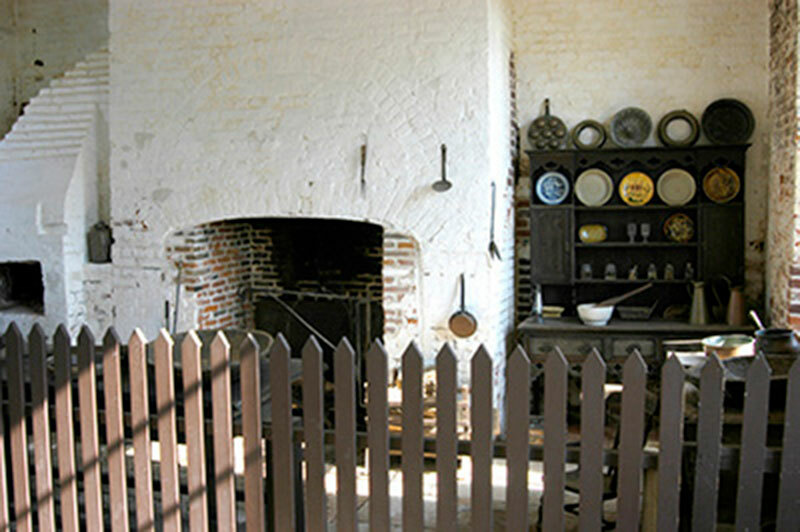 The plantation kitchen is a separate building on the property, and has a floor made of the ballast blocks that ships used for stability when they weren’t loaded with cargo. 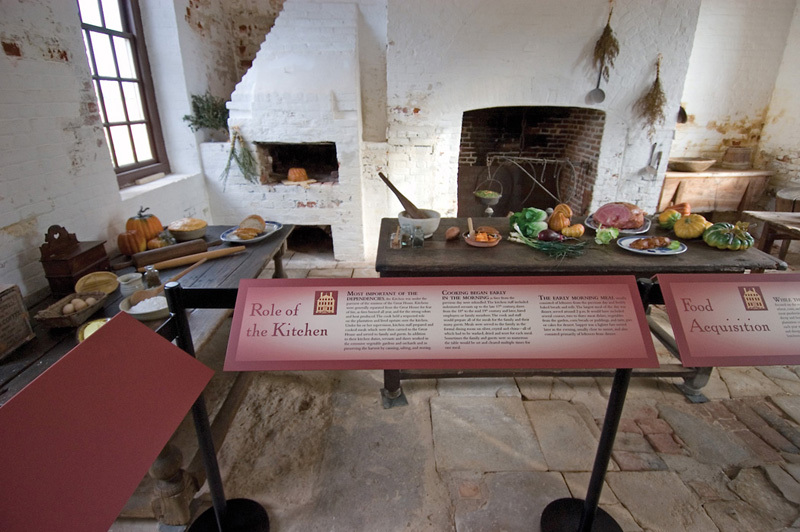 The existing kitchen exhibit was behind a wooden picket fence, that was set into the ballast bock floor. Access was by step ladder, climbing over the fence. We devised a system of posts and graphic panels as a solution to provide the separation and interpretation, and easier accessibility for the staff. Shirley liked the idea, but did not to commit to proceeding for about 18 months. During that period we further refined the solution, making it more of a modular system, and allowing more flexibility in the configuration possibilities. The Shirley system was installed in early 2007, and was a great success. Before installing the Shirley system, we set it up in our studio for photography. While it was there we invited the director of the Museum of Culpeper History in to see the system, and give us her feedback on the product. She was duly impressed, and soon became our second customer. Following that positive reaction, we took the product to a couple of regional museum conferences, and continued to receive positive interest and good feedback. These reader rails have proven the test of time– physically, visually, interpretatively – they have been the perfect solution to the kitchen display. We want to use the same design for the servitude & slavery exhibit . . . .
consistent question was “how easy is it to change the graphic?” Responding to that need, we developed the interchangeable graphics rail, which allowed for easy graphics change-out, as well as the option of user-generated graphics that could quickly be inserted in the rail under a sheet of acrylic. This addition greatly enhanced the flexibility of the system and expanded its applications by allowing the insertion of vitrines, notebook fixtures and electronic tablets into the graphics rail as well. By the time MuseumRails was introduced nationally at the 2009 AAM Conference, the interchangeable graphics rail was the system standard. As we continued to market the product, we began to see the need for a rail-only component to complement the graphics rails when additional interpretation space was not needed. A call from the Smithsonian Museum of African Art resulted in the development of the BarrierRail system which integrates with the original MuseumRails system. Other system enhancements, including the lower acrylic barrier panels, continued as a result of understanding client needs and being able to offer solutions within the original system concept. We continue to listen and look for additional opportunities to expand the system and meet ever evolving interpretive and separation needs.